Tebogo Makamo, CEO of Gron Digital. Blockchain start-up Gron Digital, which aims to help the local gaming and betting industry overcome legacy issues, has unveiled its pre-initial coin offering (ICO). Officially launched in 2012, Gron Digital is a blockchain-based open gaming platform, which aims to protect both player and online gambling operators from the myriad of challenges that impact the industry's reputation and growth. 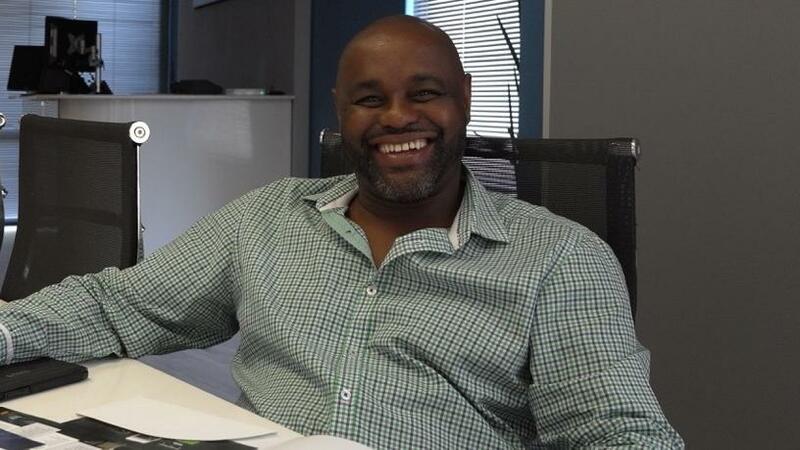 Founded by the former head of the Gauteng Gambling Board, Tebogo Makamo, the platform uses technology built on blockchain to improve transparency around operator revenues, the gamblers' winnings, and verifying legitimacy around operator's licensing, to ensure safety of online gamblers. Makamo, CEO of Gron Digital, says the gambling and betting market's reputation is held back by problems around fair competition, fair gaming, trusted service providers and pari-mutuel betting. "Gron Digital is a self-sustaining ecosystem that will offer casino gaming, lottery and sports betting on an open platform, designed to reinvigorate flagging player trust through cryptographically verifiable transactions that require no human intervention. "Extensive research and development, as well as customer feedback has helped ensure that Gron Digital will house established and reputable gaming and betting products. The platform places all role players within a single space that is transparent and trustworthy," explains Makamo. The platform, according to the start-up, uses smart contracts that act as autonomous trust agents and govern all transactions. These contracts fulfil sets of predetermined conditions based on coded rules embedded within the blockchain, making them the ideal tool for both the player and the service provider. All bets, wins, bonuses, incentives and rewards will be paid in GRO - the crypto currency/utility token used by casinos in exchange for value and services on offer. The start-up says its ICO will officially launch on 6 February 2018, with the intention of raising an equivalent of 57 000 Ethereum coins (valued at around $57.4 million), which will be allocated to software development, operations, advisors, marketing, legal fees and contingencies. Through the ICO public sale, Makamo says Gron Digital is selling utility tokens called GRO - crypto-currency sold to all the users of the platform. These tokens can be spent or earned at participating gambling and betting providers (all licensed operators) on the open platform. "ICOs currently have plenty of negative press surrounding them as they've been overdone, overworked and have often under-delivered. However, not all ICO's are created equal and the one developed by Gron Digital has been crafted by advisors and trusted partners with extensive gaming and betting industry experience. As a result, the platform is specifically targeted with properties built in to protect consumers, children, addictive personalities, suppliers and more," adds Makamo. Gron Digital says its platform focuses on building the credibility of the gambling operators and suppliers, enhancing the legitimacy of the industry and protecting both user and service provider from the impact of illegal operators. "Our solution is an intelligent blend of the cryptography and genius of the blockchain with the modern demands of the gaming and betting industry, creating a space of trust, transparency and secure identity," concludes Makamo.